Music An Evening With John Mayer - Spark Arena, Auckland. Music Review: Florence + The Machine, Spark Arena - January 2019. Music Review: Twenty One Pilots, Spark Arena - December 2018. Music Review: Taylor Swift - Mt Smart Stadium, November 2018. Film London Film Festival - Part #3: 'The Favourite', 'Madeline's Madeline', 'If Beale Street Could Talk'. Film London Film Festival 2018 - Part #2: 'Vox Lux', 'Beautiful Boy' & 'Wild Rose'. Film London Film Festival 2018 - Part #1: 'Widows', 'Colette' & 'Support The Girls'. Music Review: Mitski - O2 Shepherd's Bush Empire, London, September 2018. Music Fan review: Twenty One Pilots x 'A Complete Diversion' London show. 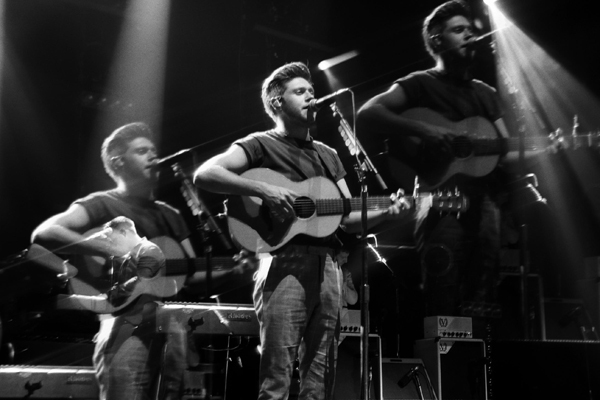 Music Review: Niall Horan - Spark Arena, June 2018. Music Review: Fall Out Boy - Trusts Arena, March 2018.